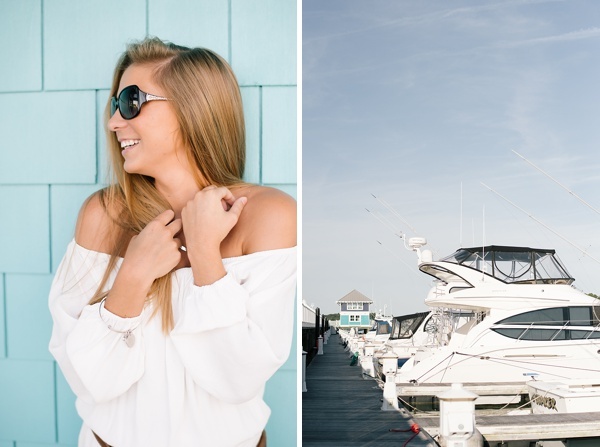 Coastal aesthetic, warm summer sunshine, and nothing but vacay vibes. 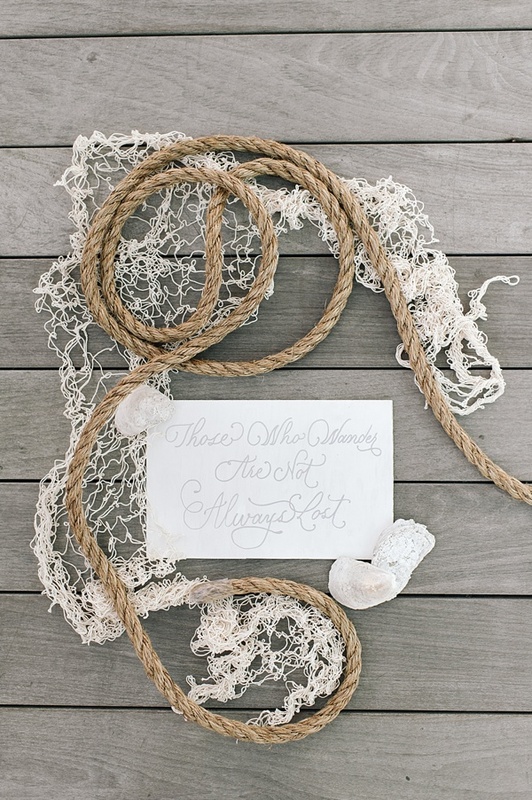 That's what inspired us in this honeymoon inspiration shoot in Cape Charles, Virginia at The Oyster Farm at Kings Creek! 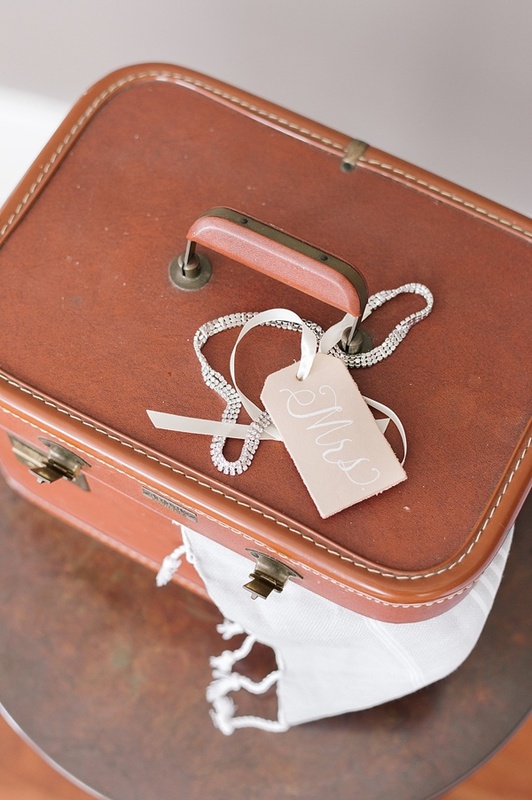 Dreamed up for our Tidewater and Tulle Travels section (stay tuned to August for that special feature! 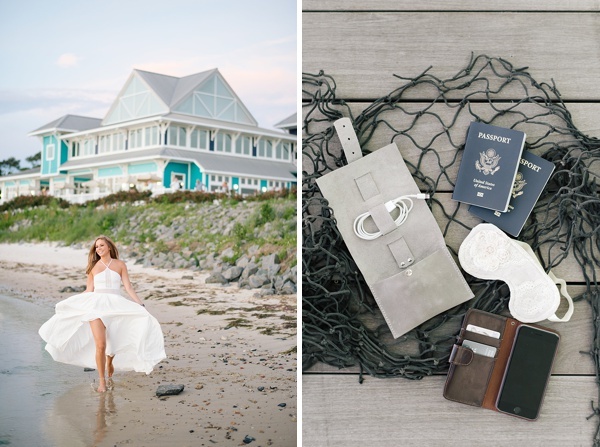 ), we wanted to showcase casual chic style, beautiful and practical honeymoon accessories, and the idyllic scenery of Coastal Virginia through the lens of Sarah Street Photography. 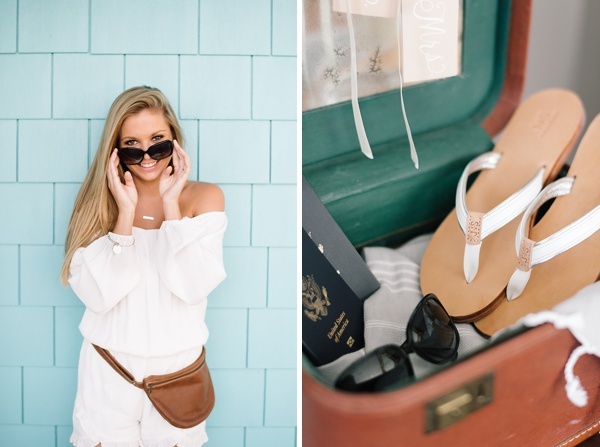 With an adorably chic white romper and flowy halter dress from BHLDN, sunkissed makeup by Faces by Rebecca Wood, and leather luggage tags with calligraphy by Eliza Gwendalyn, and unique travel goodies from Etsy artisans, our newlywed bride model embodies all things beachy and relaxed as we envision a bike ride in the morning, boating in the afternoon, and then a romantic walk on the beach in the evening... perfect inspiration for anyone going on a coastal honeymoon!